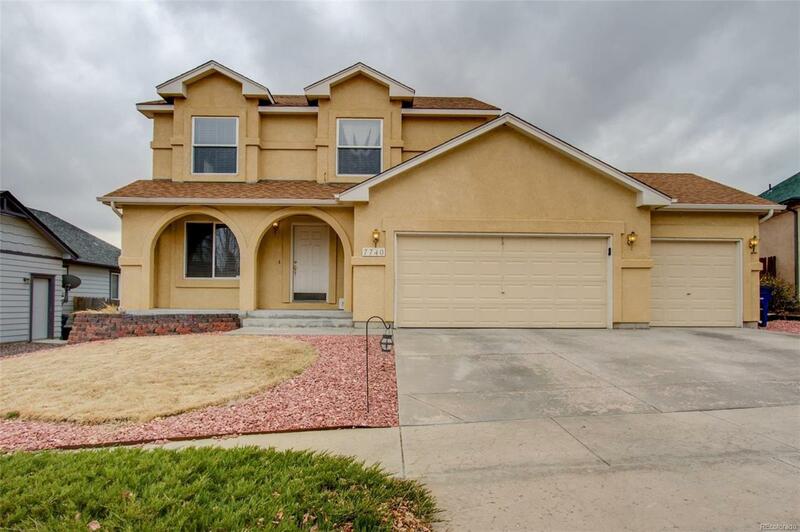 This move-in ready 2-story home checks all of the boxes. The property is situated on a hill which allows for amazing views of the the entire front range and Pikes Peak. The over-sized 3 car garage is ideal for any hobbyist and is completely finished. The open concept main level features a gourmet eat-in kitchen, half bath, and living room. Upstairs you will find 3 bedrooms, including the master bedroom. Seller agrees to provide a credit to the buyer to complete the master bathroom tile.